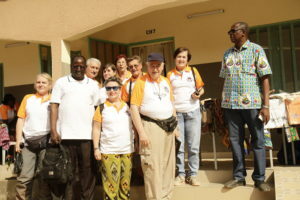 The Winter Work and Friendship Camp organised by the Villa Brea Missionary Centre (Italy) was held in Burkina Faso from 22 December to 19 January. 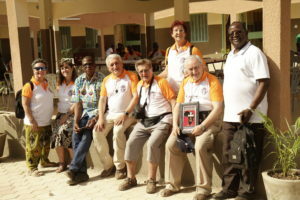 There were many moments shared by the volunteers with the Communities of the Brothers of the Holy Family and the local population. In particular the inauguration of the “Elena Trocelli Spiritual Centre” in Goundì on 31 December 2018 was experienced. Brother Firmin Tankoano, Director of the centre and the priest who presided at the celebration of Holy Mass, pointed out that it is not only necessary to cover the needs of the body but also the spiritual needs, as he wished the unforgettable Brother Silvestre. The Spiritual Centre offers 18 rooms, for a total of 36 beds, a kitchen, a laundry and a dining room. It will welcome in the spirit of the Holy Family of Nazareth individuals, families, religious groups and lay people who wish to spend a period of prayer, reflection and education at the Goundi Centre.